Halloween is always an exciting time of the year, it’s a time of year that I have always loved since being a child. Lush have only brought three Halloween items out this year, but they are all lovely additions to the winter range. 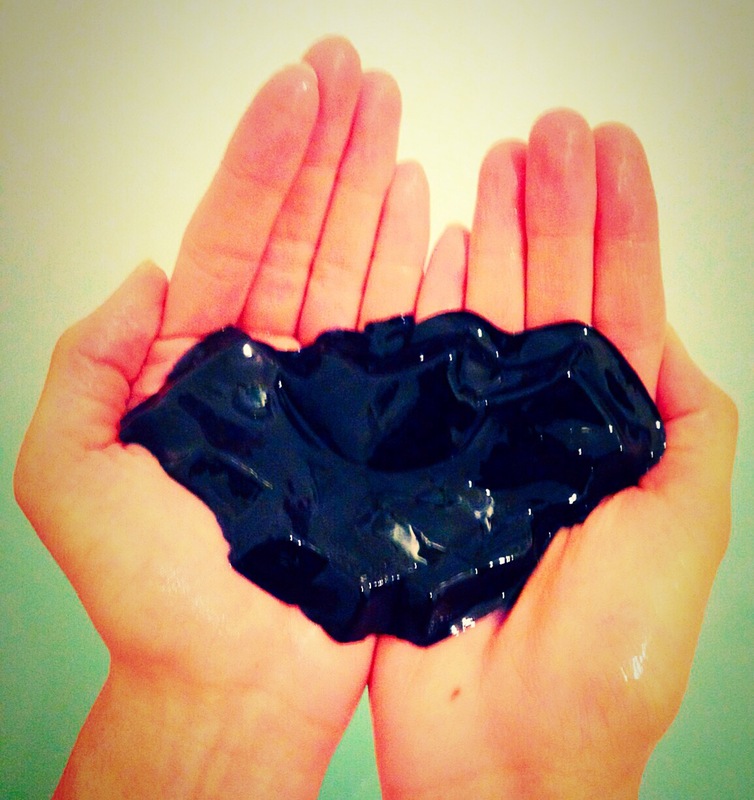 NIghtwing shower jelly is a extremely cute and a lovely invention. This jelly is shaped like a bat, which is perfect for Halloween celebrations. Several of the staff mentioned to me that it was inspired by bath man (it does look a little like the bath man logo) so this it is great for comic book lovers and for Halloween fans. Shower jellies are designed to feel and look just like a normal jelly. The nightwing shower jelly is a little more watery than others that you will find in store (you can see the watery bits in the picture). Once mixed with water I feel that this added watery aspect makes the jelly lather very well. You are at first met with a purple covering over the skin, but this washes off very well and leave the skin smelling lovely. The jelly does make a bit of a mess on the bath and shower but don’t worry it does wash off really easy and you won’t find big purple stains all over your bath room. 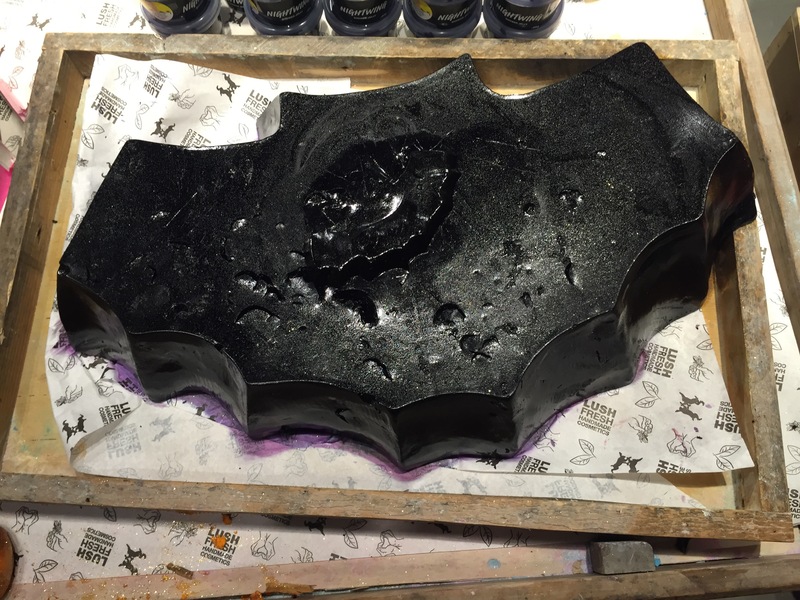 The scent of NIGHTWING shower jelly is quite different from anything I have every tired before from lush. It has a very strong lime scent , unlike the more sweet lime scents that lush have used in the past. This is more of a zesty citrusy lime scent caused by lime oil which is one of the main ingredients in this product and reminds me a little of green lollipops you get in restraunts and doctors etc. Nightwing also contains aloe vera wich adds a nice soothing aspect for this product. 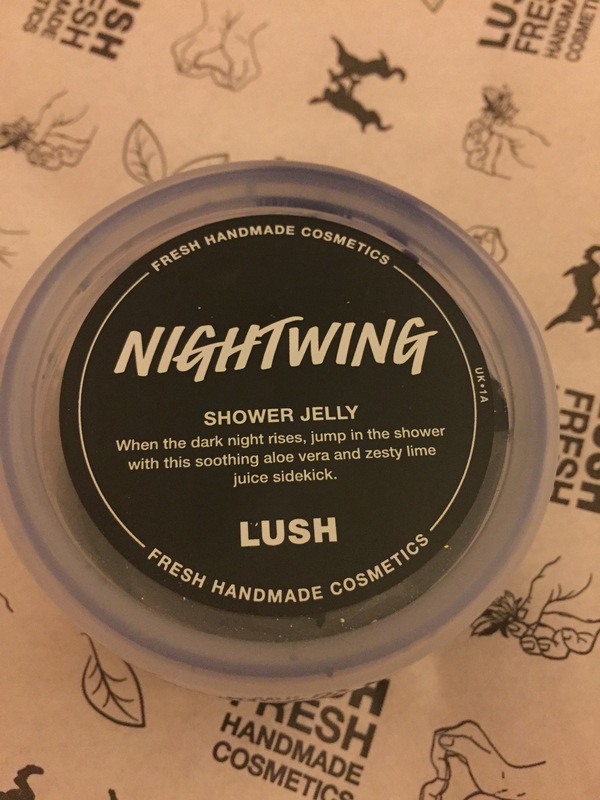 I feel that the Nightwing shower jelly will be a great product to get you up on cold dark mornings when really all you want to do it stay all snuggled up in bed. Plus if you pop in the freezer it will be lovely for the summer months as a refreshing and uplifting shower treat. Unfortunately as much as I love shower jelly and as much as I love the scent of this product I do feel it has a few little flaws. Firstly there have been a lot of problems with this product leaking, when I brought this product I put it in my bag with my other lush items and by the time I had got home it had leaked sticky purple all over my bag! For some reason this jelly seems a lot more watery than other jellys and seems to be the cause of it leaking. So just be weary of traveling this product as you may find everything ends up purple. Also as much as I love the cute little bat shape it is a little awkward to use. I like to use my jelly whole and knot chop it up but after one use his little wing has almost fallen off, so I’m going to have to chop him up into little bits. But apart from that I was very pleased with this product, I love the scent and I love the idea behind it and am now very excited for Halloween. Top tip- shower jellys can be used in lots of different ways, so try putting it in the fridge or freezer or even make bubble bath by running it under a tap. Ingredients- Glycerine, Water (Aqua), Sodium Laureth Sulfate, Propylene Glycol, Fresh Lime Juice and Aloe Vera Gel Decoction (Aloe barbadensis; citrus aurantifolia), Carrageenan Extract (Chondrus crispus), Lime Oil (Citrus aurantifolia), Carob Syrup (Ceratonia Silliqua), Citral, Limonene, Colour 17200, Colour 42090, Colour 77266. I absolutely loved Nightwing the second I took a whiff of that delicious Calacas scent. I honestly haven’t even used it yet because I don’t want to break the little guy but I can’t stop smelling him! I did stain a bedsheet inky blue though when he dribbled everywhere so the leakiness is a valid concern. I’m so glad I’m not to only one who leaked it all over the bed 😀. It does smell so yummy I’ve never tried calacas before so I need to get my hands on some of that to give it a try. I think I prefer the scent of the nightwing, but the consistency of the santas belly one. Have you tried either of them?